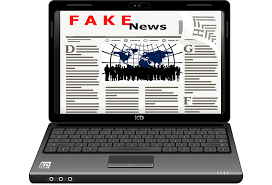 This guide was created to house resources related to the Fake News Workshop that took place in April 2017, sponsored by the Elihu Burritt Library and the CCSU Journalism Department. There has been a great deal of discussion lately about fake news, but what is fake news? How do we identify it? Come join us in the Library on April 6 or April 12 for a 1-hr workshop to find out!